In her new novel, Inside the O’Briens, the New York Times best-selling author of Still Alice, Lisa Genova, presents a moving portrayal about a family struggling with Huntington’s disease (HD). HD is caused by a faulty gene that leads to the progressive breakdown of brain cells, which results in its hallmark symptom, chorea (uncontrollable dance-like movements). It is known as a ‘family disease’ because every child of a parent with HD has a 50/50 chance of carrying the faulty gene. About one in every 10,000 people has HD, but one in every 1,000 is touched by the disorder, whether they are at-risk of inheriting it, a caregiver, family member or friend. Currently there are about 900 families affected in Auckland. The story centres on the O’Briens – Joe O’Brien, his wife, Rosie, and their four grown children, JJ, Patrick, Meghan, and Katie – who live in Charlestown, MA. The O’Briens are just another normal family, sibling rivalries and all, which make them very relatable. The difference is that Joe has HD. We follow Joe from his earliest symptoms, to his diagnosis, and get an insight into what living with HD is like. We see how it affects his job in the Boston PD, and the ramifications (both positive and negative) his diagnosis has on his family. Given that the faulty gene causing HD was found in 1993, ‘at-risk’ individuals can now choose to find out their gene status by taking a genetic test. We see the O’Brien kids, especially Katie, the baby of the family, grappling with this complex choice. It is not a decision that many of us have to consider in our early 20s, but Genova raises and explores some poignant considerations. Is the constant anxiety of not knowing better than being confirmed gene-positive? What happens if you are gene-positive? Do you choose to marry and start a family, given the risk of passing on the gene to your own kids? Genova, who holds a PhD in Neuroscience from Harvard, effortlessly educates her audience about the science and genetics behind HD, without the complexities of a clinical textbook. It is one of the reasons I love this book. The other reason I found this book a riveting read is testament to Genova’s storytelling capabilities. Genova really captures the human essence of being a part of an HD family, and gives us a window into what this feels like. The O’Briens were so compelling… so real! I found myself worrying with the O’Briens, crying with the O’Briens, feeling their pain and going on the same journey with them. I’m sure their story will resonate with many HD families across the world. However, because at its core, this story is about family, resilience, and love, it is relevant to all of us. I highly recommend it for your winter reading! 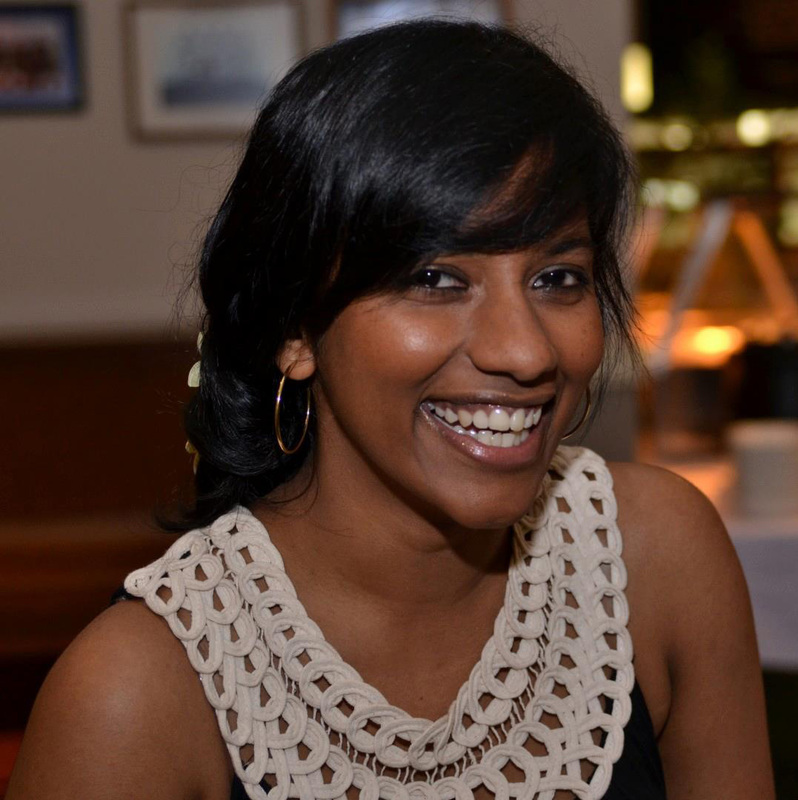 Scientista’s co-Editor-in-Chief, Lakshini Mendis, is doing a PhD focused on how the human brain changes in Alzheimer’s disease at the Centre for Brain Research in Auckland. She is passionate about good science communication and changing the stereotype of women in STEM. She also writes for HDBuzz. When she’s not working, you can usually find Lakshini curled up with a good book, spending time with family and friends, or exploring somewhere new. Find her musings on Twitter here! Any science student has, at some point, sat through a lecture on research methods which covers reliability and validity as factors which must be taken into account. They can be handily summarised as: ‘If I, or someone else, repeat this experiment, will it give the same sort of result?’, and ‘Is my experiment actually measuring what I think it’s measuring?’. Obviously a well-designed experiment will fulfill both these conditions. Usually a series of funny little examples are presented, in the hope they’ll stick in your memory and help you distinguish between the two. 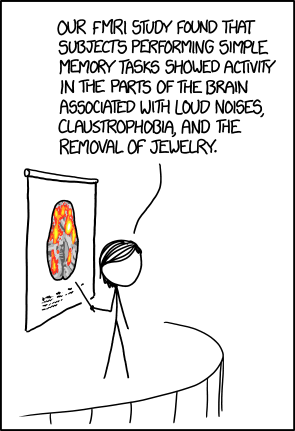 Despite this, I’d mostly forgotten about such things, until I saw the cartoon below – a particularly good example of an experiment high in reliability that isn’t measuring what it’s meant to be measuring – and the sort of result that neuroscientists really don’t want to see! (source:) http://xkcd.com/1453/ Used under Creative Commons Attribution-NonCommercial 2.5 License. If you’d like to find out more information about fMRI, psychcentral.com has a very good summary here. 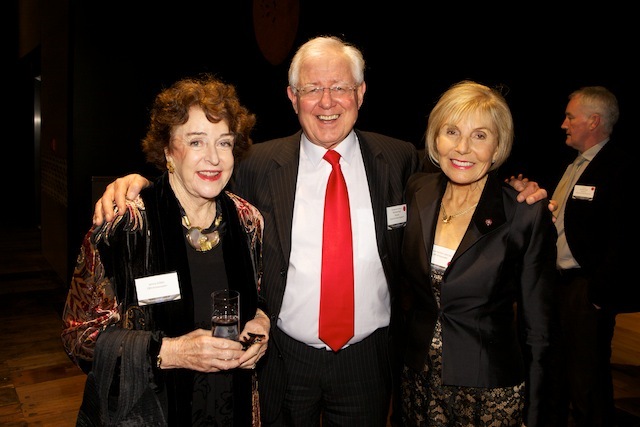 Neurosurgery Chair Campaign launched in glittering style! Former ‘Fair Go’ presenter Kevin Milne was the MC for the launch function. 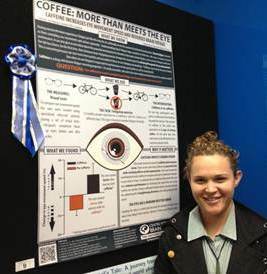 First place went to Charlotte Connell, from the Exercise Metabolism Laboratory, for her poster titled “Coffee: More than Meets the Eye”, while Yvette Lamb, from the Human Neuroscience Laboratory, and Aleea Devitt, from the Memory Lab, took second and third place respectively. Pictured below are the prizewinners posing with their posters. 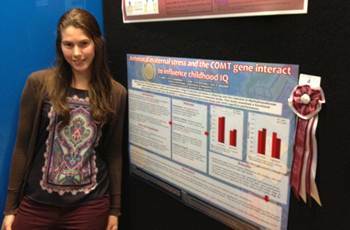 Charlotte Connell with her winning poster. 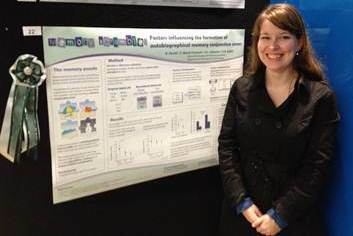 Yvette Lamb with her poster. Aleaa McDavitt with her poster. The brightest and best upcoming talent from across the five schools and sixteen departments which make up the Centre for Brain Research all came together in one place last month for the first ever ‘CBR PhD student day’. The day was conceived, organised, and executed by students, for students, with presentations, expert panels and interactive sessions such as ‘speed dating’ and a variant of the ‘three-minute thesis’ challenge. 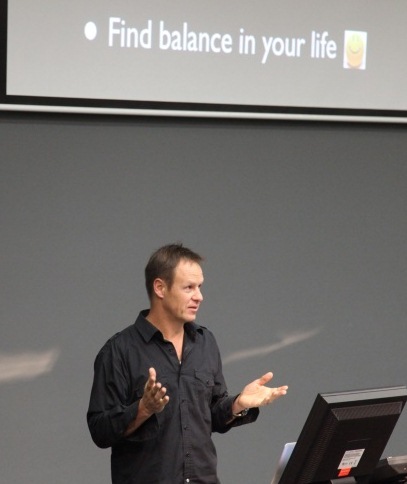 The highlight of the day was the opening address by Dr Mark Sagar, CBR member and principal investigator of the Laboratory for Animate Technologies, formerly of Weta Digital, in which he covered the progress of his interesting career to date, with a few tips and points of advice for PhD students in terms of thinking broadly about careers, communication and building networks for the future. 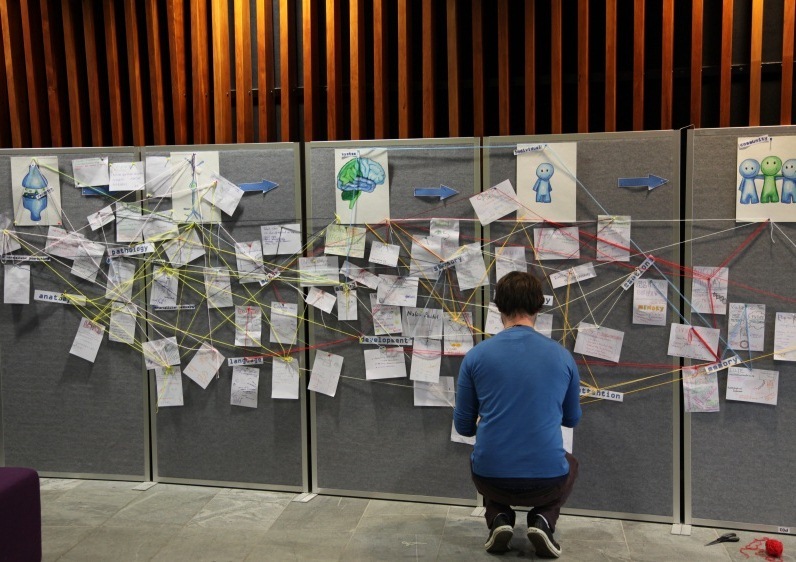 The day also featured a research showcase, with attendees encouraged to draw/write the topics and techniques that they encounter in their daily research, and group these with others, then make connections between their research and related disciplines/techniques, with the result taking on a very web-like – or perhaps cell matrix-like – appearance. It was a good way to get people talking about how their work related to others and to understand the breadth of the ‘whole picture’ that CBR represents. People were keen to participate, as the photo below shows! 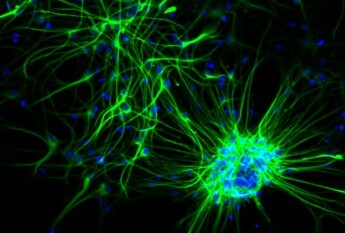 The ‘range of research’ – from intracellular to interpersonal. Special acknowledgement is due to all the hard work of organising and executing this event done by members of the BrainWaves committee and others! 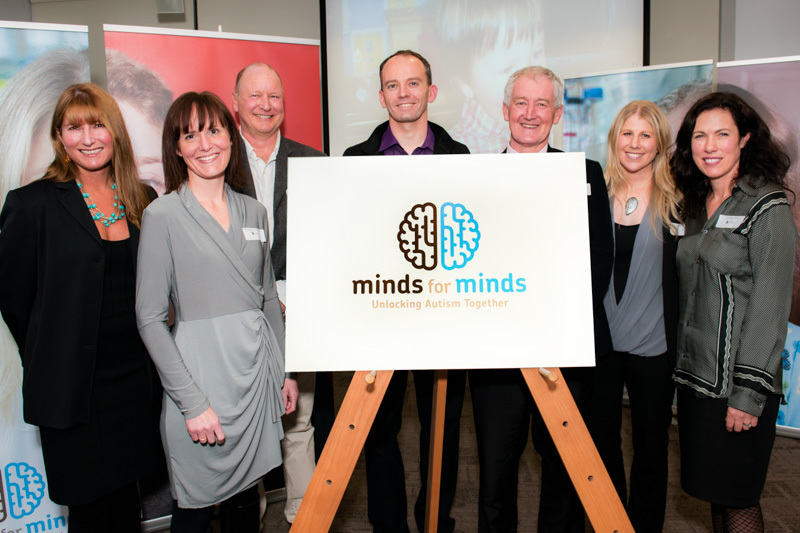 The Centre for Brain Research was the setting last week for the launch of the ‘Minds for Minds’ campaign, an initiative of the Autism Research Network New Zealand (ARNNZ), to raise awareness and funding for research into the genetic causes of Autism. They are also seeking people on the autism spectrum to join a research register, which will be used to collect genetic and autobiographical information. 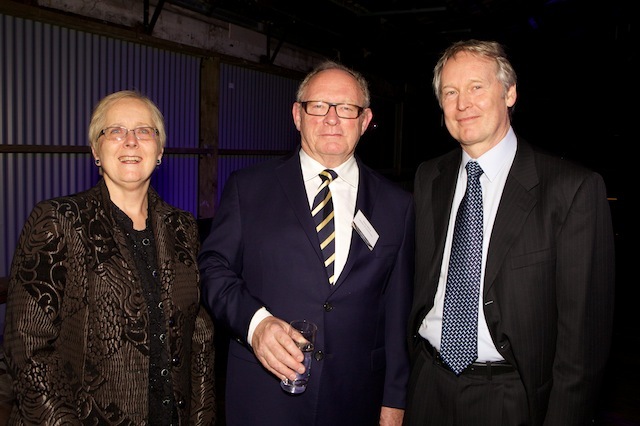 ARNNZ lead researcher Professor Russell Snell with journalist Deborah Hill Cone. Several of the founding members of ARNNZ are also CBR members, and it looks as though they mean to apply the same principles of working alongside clinical experts and members of the community to ensure the best results for those living with autism, and their families. 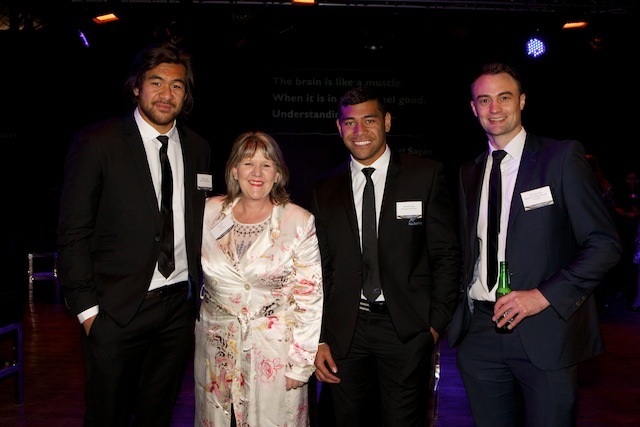 Go to www.arnnz.org to find out how you can be part of the picture. 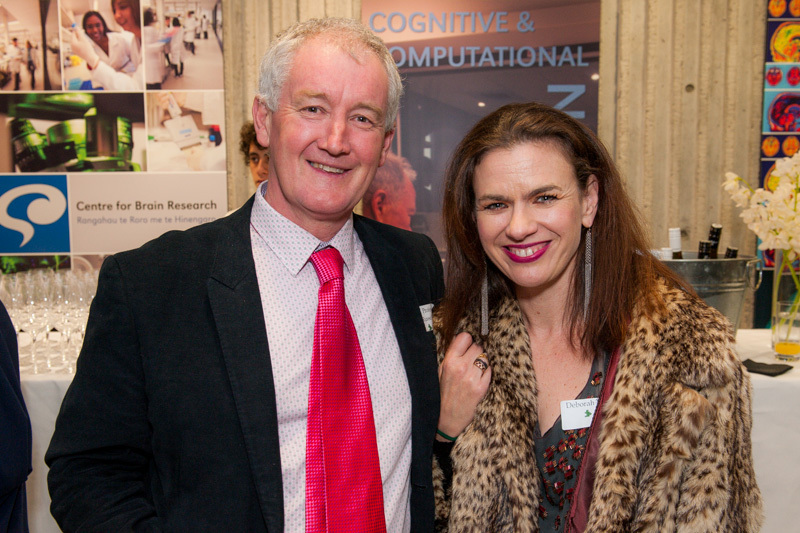 The Centre for Brain Research has been getting in the news this week – for all the right reasons! Later in the day, Professor Faull also featured on on Sky Sports’ ‘Deaker on Sport’ programme, talking with Murray Deaker and neurologist Rosamund Hill about concussion and our growing understanding of its long-term effects – always a relevant issue in our sport-focused nation.